Whether you’re a seasoned veteran of Ansible, or just starting out, the following blog provides experts and newbies with an update to the Red Hat Ansible Automation portfolio of products from Red Hat. You may have seen the official press release, and this blog hopes to answer some of the questions you still have. The Ansible project is one of the most popular open source projects, with almost 3,000 contributors in just over five years of existence. The Ansible project has always been an important part of the Ansible Tower “built-for-enterprise” story, but over the past few years a pattern has begun to emerge. The Ansible project has grown over time, moving from just managing Linux servers to managing different types of devices: servers, virtual machines, containers, networking hardware, Windows platforms… even smart light bulbs. With the breadth of abilities to automate highly heterogeneous environments we received more requests for additional Red Hat offerings for diverse automation use cases. Red Hat Ansible Engine is now available for individuals and small teams to receive support for their Ansible environment, even if they do not need enterprise scalability via Ansible Tower. Red Hat Ansible Engine is a foundation for enterprise automation, and includes the building blocks for automating and managing at scale with Red Hat Ansible Tower. Product and support offering based on the Ansible project that leverages a simple, powerful, agentless automation framework for most IT environments. Product and support offering that helps teams manage complex multi-tier deployments by adding control, knowledge, and delegation to Ansible-powered environments. Take a look at the image below, which provides a better understanding of how the Ansible open source and supported enterprise pieces fit together, so that you can make your own decision about where to start, and where you want to be based on the use case and the teams that you have. Red Hat Ansible now provides multiple options for enterprise automation, wherever you are in your automation journey. Whether you’re a current Ansible Tower customer looking for more comprehensive support for Ansible subsystems and select core modules, looking for more enhanced enterprise support for your open source Ansible project deployment, to support for select Ansible networking modules, Ansible has an automation solution that can work for you. There is a considerable knowledge and experience “jump” when going from using the Ansible open source project to the enterprise-class Ansible Tower. Without a supported entry point, we found that potential customers often stayed on an unsupported product based on their needs early in their automation journey. While the open source Ansible project allowed for organizations to get automation efforts going quickly in their organization, there was a lack of enterprise support from Red Hat that customers come to expect. For example, many Ansible Playbook authors were already utilizing Red Hat Enterprise Linux as their automation control node, and expecting basic incremental support for the automation execution engine and core modules. Today this is now a reality with the Red Hat Ansible Engine product offering. Individuals, small teams, and developers can keep the “DIY” aspects of their automation environment with award-winning support from Red Hat. Everything we know today is based on commentary from our Ansible Tower customers. But what was virtually a tie for the top request, was the need for better support for underlying Ansible subsystems such as the Ansible execution engine and core Ansible modules. 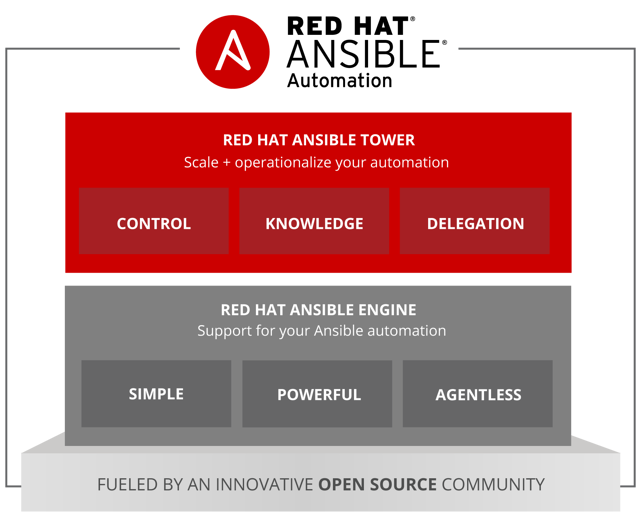 With the Ansible Tower offering, Ansible Engine was not yet a reality, and support for the underlying foundational Ansible open source executable was treated in effect as a library, and therefore unsupported. In our experience, the most integrated and effective automation teams were both operationalizing and scaling their automation, as well as developing Ansible Playbooks beyond what was found in any GitHub repository. 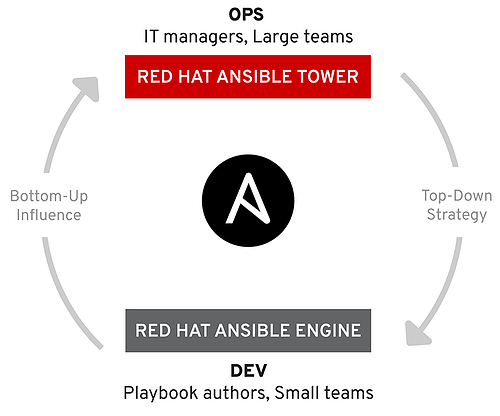 Today, Red Hat Ansible Tower is now optionally bundled with Red Hat Ansible Engine for DevOps enterprises that seek full-stack automation support. Ansible was born 5+ years ago to automate Linux servers. It’s grown to automate much more, including network devices, which are a critical component for enterprise IT. In the last two years, the Ansible open source project has added more than 33 networking platforms and 450+ networking modules (as of Ansible 2.4). Many customers today are using Ansible Tower to manage their network infrastructure, but have since asked for full support for the networking modules they use most. Today, Red Hat Ansible Engine Networking Add-on provides support for select networking modules from Arista (EOS), Cisco (IOS, IOS XR, NX-OS), Juniper (Junos OS), Open vSwitch, and VyOS. What’s next? Where do I go from here? 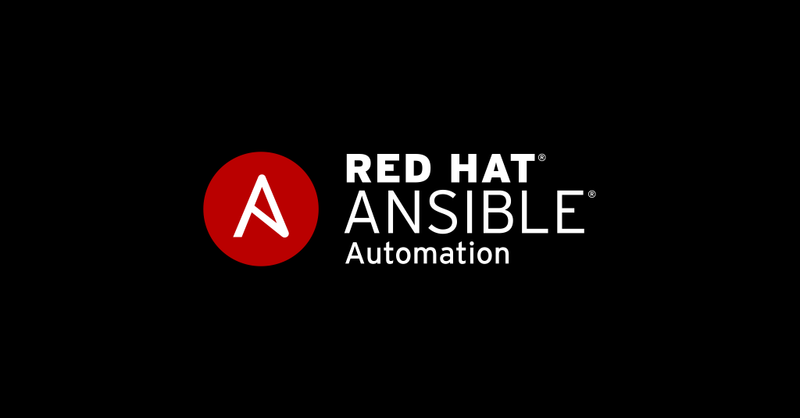 If you’re new to automation, or already using Ansible, the best way to get the information you are interested in is to contact us directly or talk to your Red Hat sales representative. We are really excited to bring more options into the Ansible automation family. We hope these additional products provide additional flexibility to individuals and small teams all the way to large enterprise use cases. 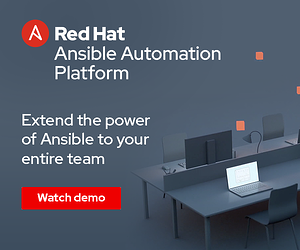 Contact us today to find out how Ansible automation can help you and your team reduce complexity in your IT environment, decrease your time-to-value for deploying changes, and simplify your development, operations, and management life. 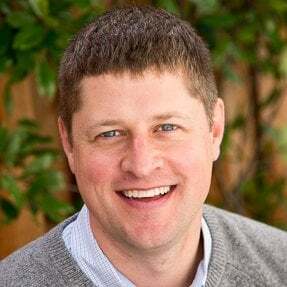 Andrius is a Principal Product Manager for Ansible Network Automation where he brings over 20 years in the computer software industry from companies such as IBM, Nortel, and Cumulus Networks. Andrius is skilled in Network Automation, Enterprise Linux, Business Analytics, Technical Writing, and Strategic Alliances.